Are you busy mum like me? You don't need to give up on creative activities! Just do something simple that keeps your child occupied for some time. Something simple, easy to set and creative. Something like painting on glue using food coloring. Mr Frog spent long time drawing squiggles and swirls, mixing colors, making up stories about funny shapes he made. 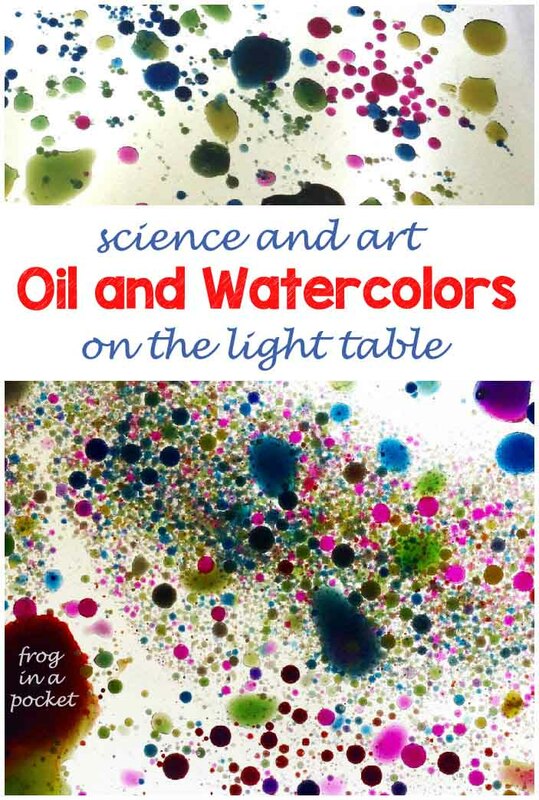 This is great way to experiment with colors and practice mark making skills. 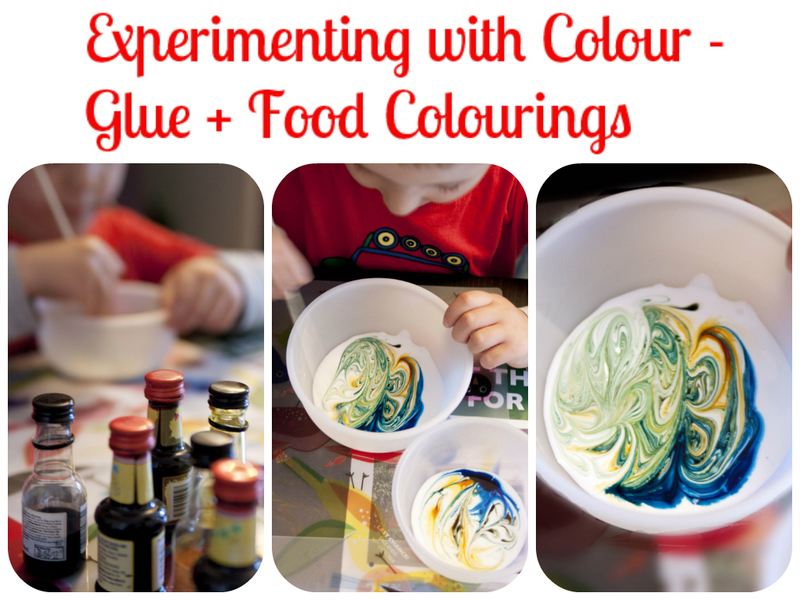 Simple pour the layer of glue in the bowl, put few drops of food colourings and draw on it with skewer. You can find great painting on glue activity and and how to turn your art into sun catchers DIY HERE from Babble Dabble Do. a co potem z tym robicie?to zastyga i jest jako ozdoba?czy wylewacie po prostu? i to się tylko tak o mazia po tym ? Jesli warstwa kleju nie bedzie za gruba zaschnie ladnie, chociaz zajmuje to troche czasu :) Nam zaschnelo i powiesilismy w oknie.